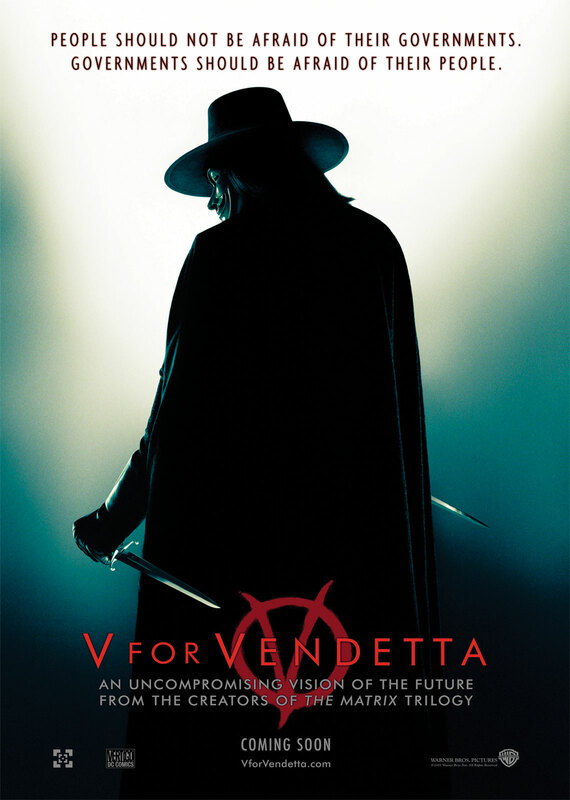 Synopsis: A freedom fighter, known only as V, is on a mission to bring down a Fascist regime in London by any means necessary. Review: “Remember, remember the 5th of November, the gunpowder treason and plot. I know of no reason, why the gunpowder treason, should ever be forgot.” A powerful quote and one that is central to this thrilling and mysterious film. V, inspired by Guy Fawkes, is a man on a mission to free Britain from a government that has clamped down on individual freedom and free speech, with his ultimate goal being what Guy Fawkes tried to do, destroy the Houses of Parliament. Anyone who steps out of line, is whisked away and never to be seen again. At the same time, the press is strongly regulated to prevent anyone from speaking out. Whilst on his mission to bring down the government, he encounters Evey (Natalie Portman) a young woman who aids him in his quest to liberate Britain. V is the one who commits a number of acts and speaks out against the government that has a powerful grip on the country. His actions and intentions spark a mass panic by the government who brand him a terrorist and set out on a mission to stop him at all costs. Hugo Weaving, although he initially was not the first choice for the role, was a perfect choice for the role of V. He delivered his lines, some of which are very memorable, perfectly and the audience really understands what his motives are. He is not an evil man; he simply seeks to bring the Norsefire reign of tyranny to a swift end. Natalie Portman delivers a strong performance as Evey whose life is transformed and changed forever by V. John Hurt portrays the menacing leader of the Norsefire Party, Adam Sutler. Piggott-Smith is perfect as the repulsive Mr Creedy, and Stephen Rea delivers a sound performance as Inspector Finch, the man who has been tasked with stopping V, whilst realising the true nature of the Norsefire regime and its past crimes against its own people. The film suffered a little bit with its pacing as it is a dialogue driven film and thus the plot slowed down at times. Nevertheless, the film was still a very enjoyable and thought provoking story that left its mark on me. Hugo Weaving was superb as V and has some truly unforgettable quotes. While there is not much action, the action scenes that are in the film are excellent. With sterling work from Weaving and Hammond, visually stunning and a well crafted story that is full of themes and ideas, V for Vendetta particularly in this day and age, is a film that has messages that may ring true today.